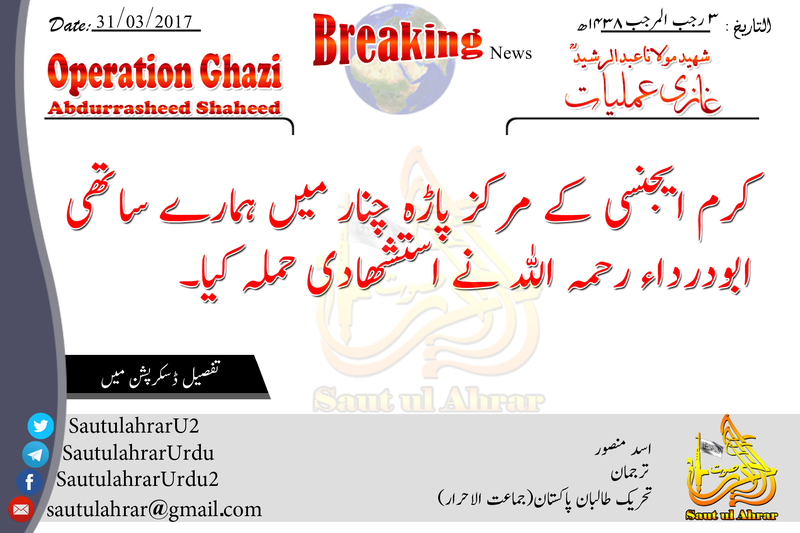 Pakistan Tehreek-e-Taliban Jamaat-ul-Ahrar (TTP JA) have claimed responsibility for a deadly bombing in Parachinar, Kurram district of Pakistan close to the border with Afghanistan on March 31 which left 24 dead and 90 injured. “In Parachinar the central Khurram Agency, an old and famous mujahid, Seth Nazir alias Abu Dar Daa’ (bless him), who hailed from Mohmand Agency. In operation Ghazi Abdur Rasheed Shaheed (bless him) carried out a landmark car bomb attack on the worst kafir of the universe, Shia people as a result of which dozens of enemies of anti Islam and anti Sahiba karam were made fuel for the horrific fire of hell. Since Shia have always been the scum of the kafir and along with the Ummahat e Momeneen (ladies of the virtuous) all Sahaba karam (companions of prophet), they have disrespected them and as per operation Ghazi’s militancy policy are within our area of target. That is why their Centre meaning the Imambargah was made a target and our this explosive laden car was exploded right on the gate of the Imambargah. 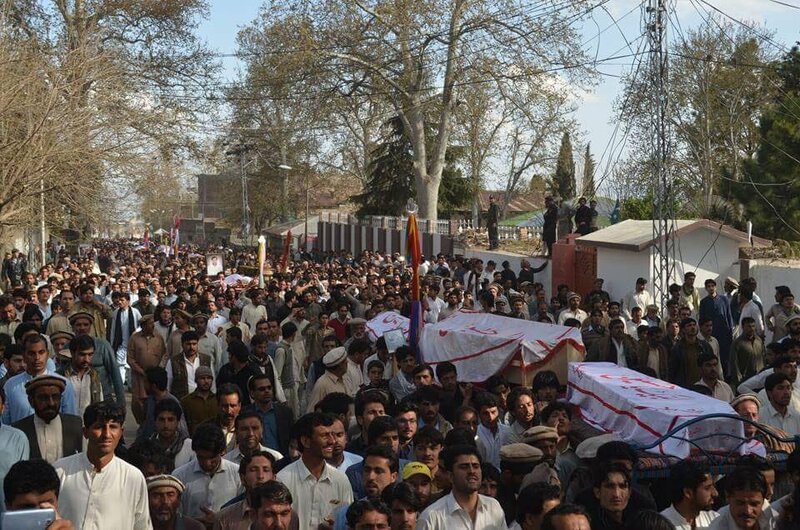 Protesters in Parachinar took to the streets carrying the bodies of the deceased at Shaheed Park and demanded immediate action against those involved in the incident according to GEO TV. Several persons were reported injured as security forces opened fire to disperse the crowds. The situation was calmed following negotiations with authorities including the army and police. “The outlawed Lashkar-i-Jhangvi al-Alami, in a text message to journalists, claimed that it along with a splinter group of the banned Tehreek-i-Taliban Pakistan (TTP) led by Sheheryar Mehsud had carried out the attack. Protection of life should be key for all and is a strong part of Islam and other religions sadly though often not observed. Thanks for leaving your comments.